True confession. Today’s show was recorded as a video. Unfortunately, I realized that my recent audio sync issues have to do with Apple iMovie. It’s apparently a problem others are having, too. I opted out of posting the video with foreign martial arts film like audio issues. It’s funnier when people are performing spinning reverse kicks. I’m physically unable to perform such feats. So…this is a special audio episode. That should explain why I ask you to watch as I hit that button you see me pressing in the photograph. 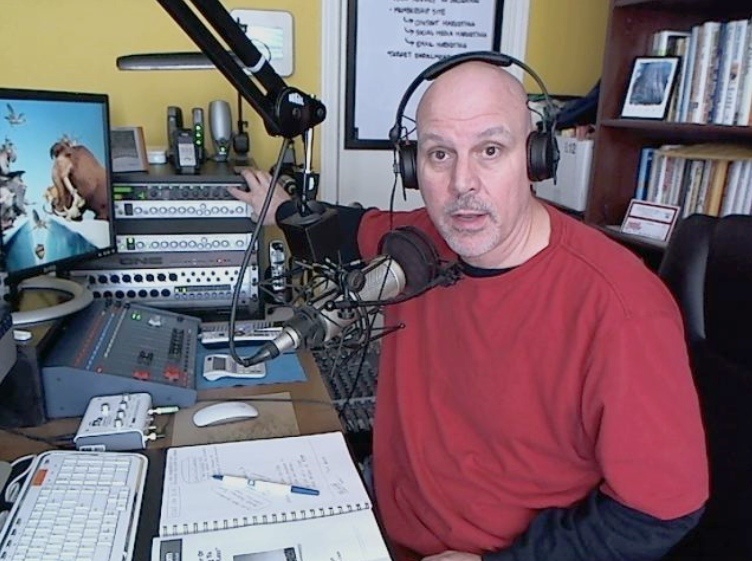 I was using my audio processing equipment to make a point. Fortunately, the big point was made in the audio…but it was made by simply hitting a single button. One tweak made an enormous difference. Are you a “quantum leap” kinda person? I am. Well, historically I have been, but I’m leaning toward smaller, more subtle change these days. Many small business owners are searching for the one big thing they can do to make their enterprise more successful. The secret thing they just don’t yet know. Most will never find it because it really doesn’t exist. Life is made up of a few big goals and accomplishments, but most of life is composed of daily actions that move us closer to or further away from improvement. Mundane kind of stuff that we can too easily discount. Small changes made over time result in major differences in the outcome. Maybe you need to change a thought, one habit or one tactic. Just one. Life isn’t all about go big or go home (even though I do often wear a T-shirt to the gym with that on the front). It’s about the wisdom to make subtle, small changes that can make all the difference in the world in your success!